Strikingly stylish wine/lamp table in a classic art deco design. Shown here in maple with ebony crossbanding and inlays. 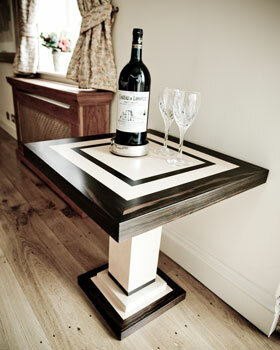 This table can be made to any size or specification and in any combination of the eight exotic woods below.